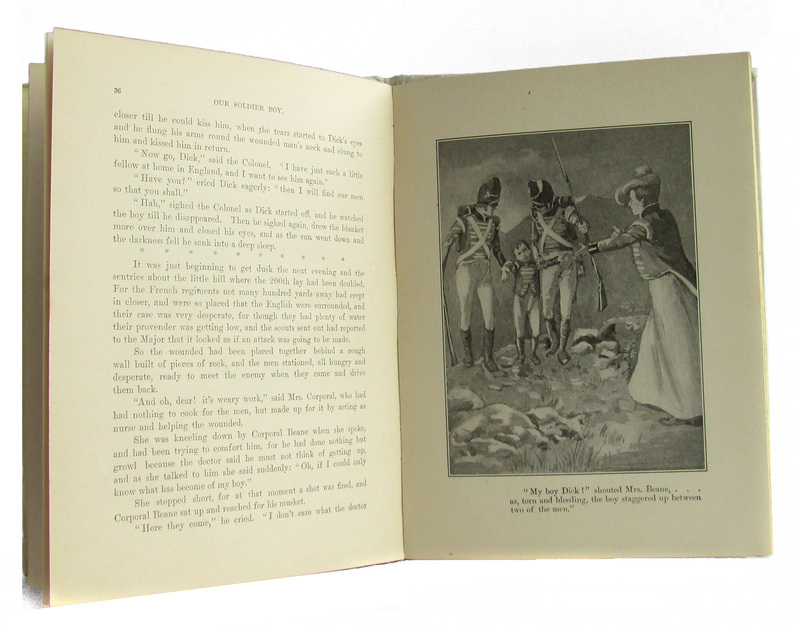 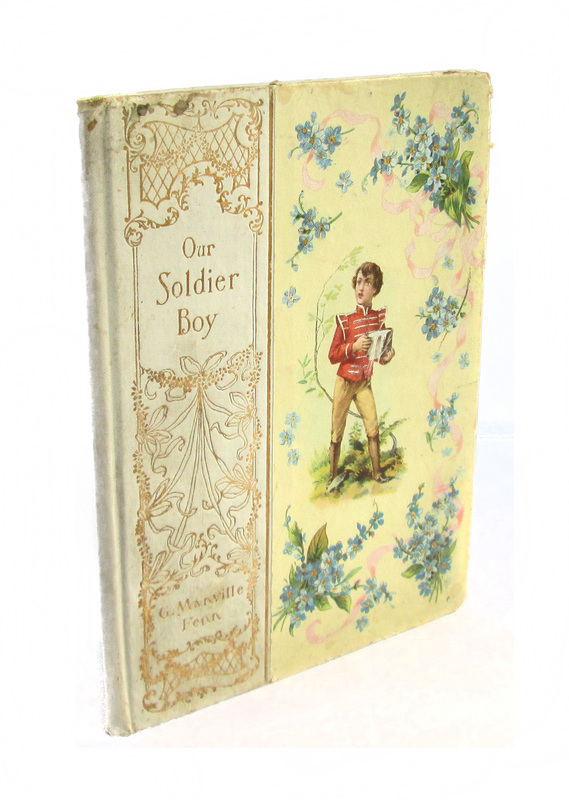 This antique hardcover book has a beautiful decorative cover with bright color illustration, large wraparound spine covering with bright gilt lettering and decorative work. Edges are worn, soil; owner's name on front endpaper, tanned pages. 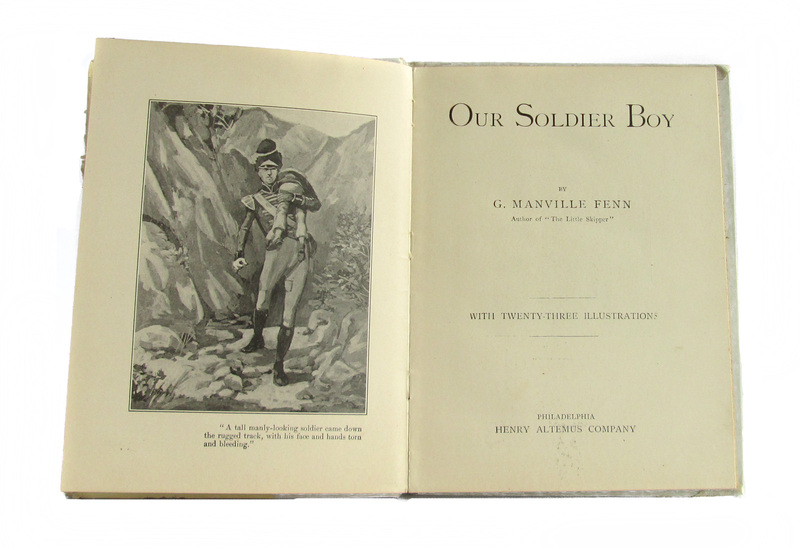 A story of army life, illustrated throughout with black-and-white pictures. 48 pages; approx. 6"x8".